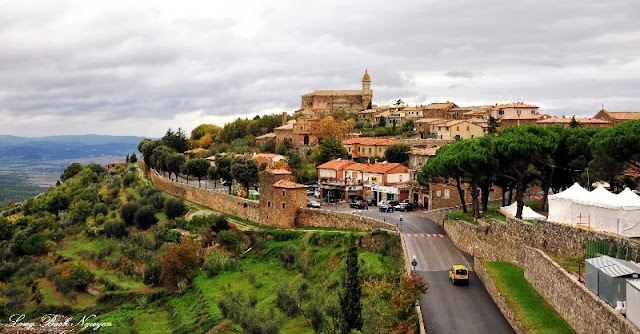 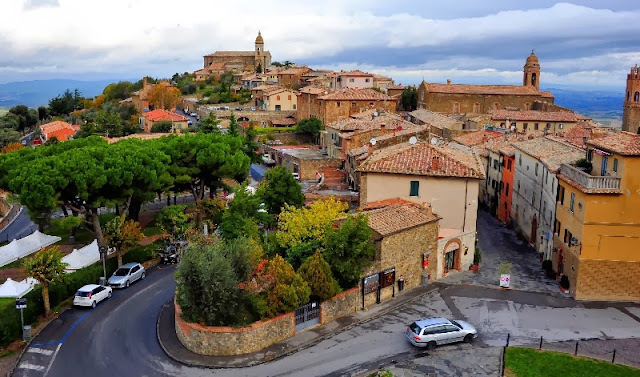 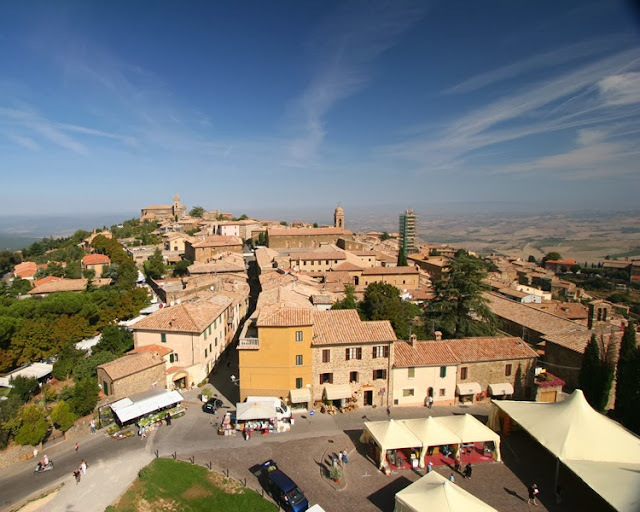 Montalcino is a quiet hill top village in Tuscany, 20km west of Pienza, Italy. 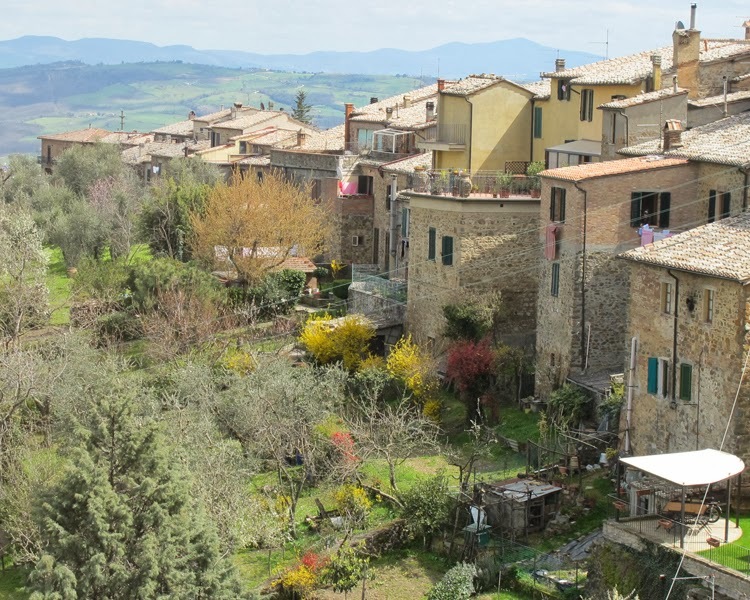 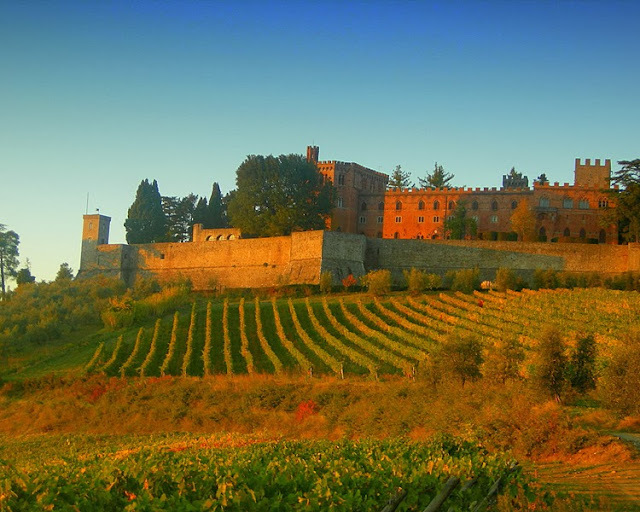 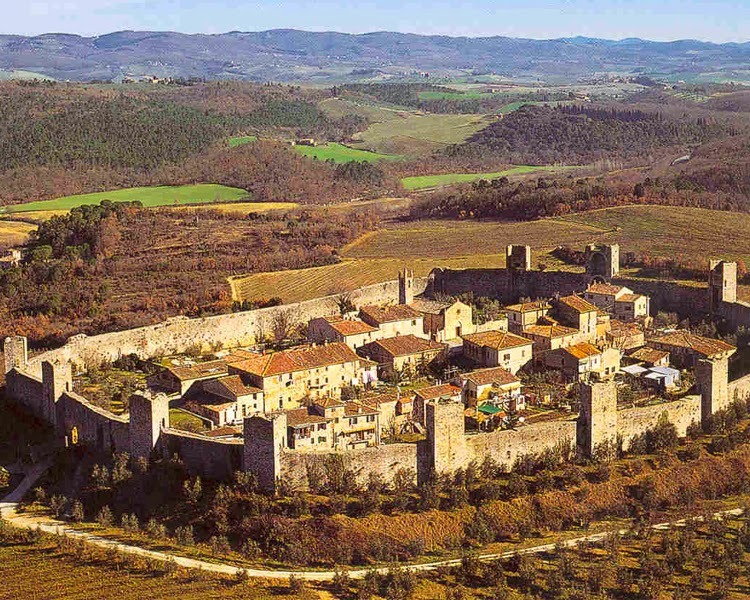 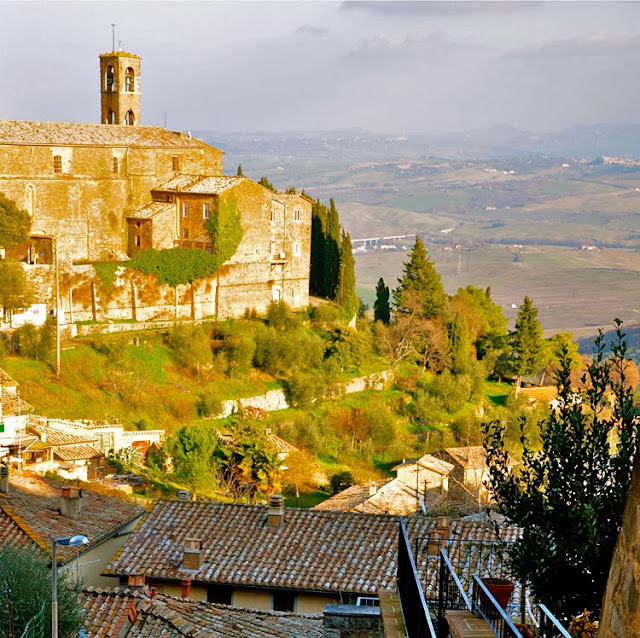 Montalcino maintains its picturesque charm. 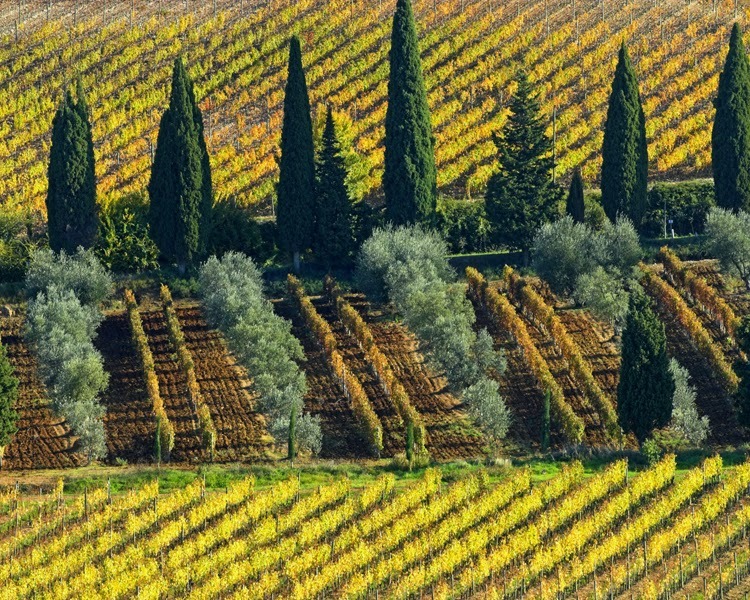 It is known above all for its exquisite wine, Brunello. 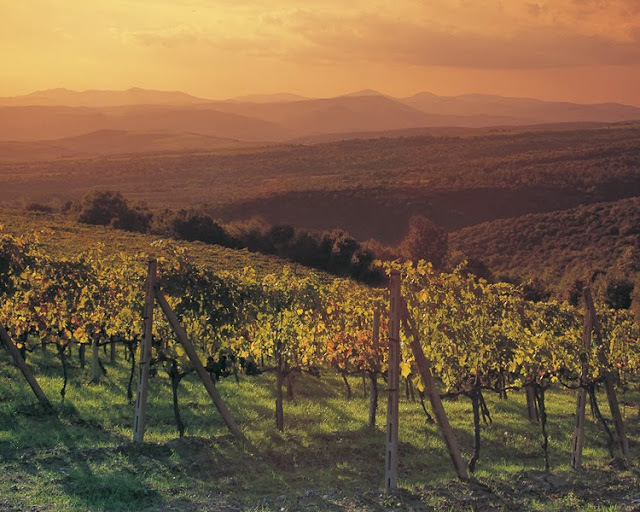 Wine has been made here for millennia, and records of commercial wine production date back to the 1400s. In addition to wine, the town is famous for its fine honey, which can be purchased in many of the shops. 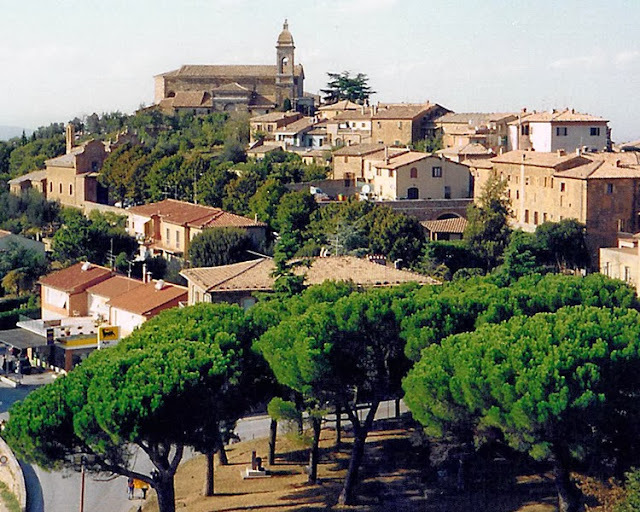 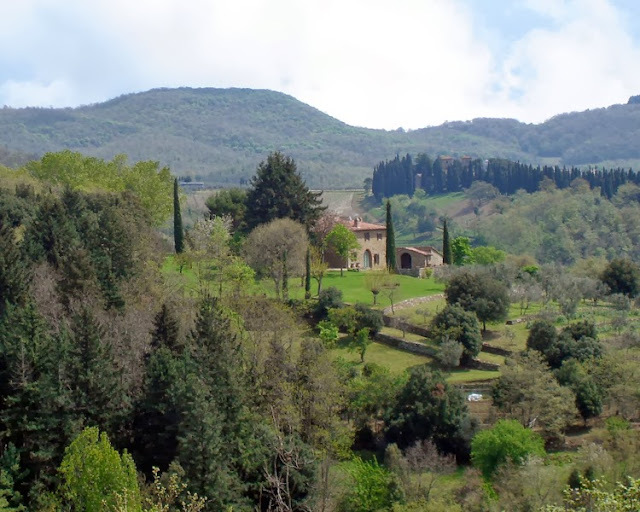 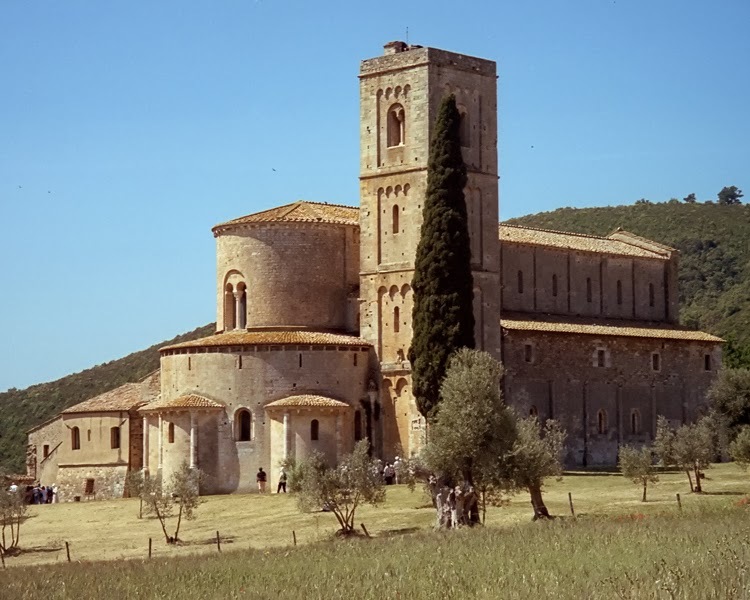 The landscape is characterized by stark rolling hills, marked by winding roads lined with dark cypresses and fortified towns.